Description We’ve always thought that aliens look like green humans with big heads and huge eyes. We cannot even imagine that aliens look like crystals. Hostile crystals that destroy everything on their sight. And only plants can defeat them. 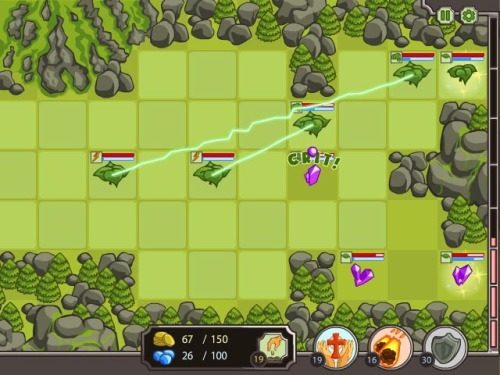 Symbiosis is an innovative game where your main objective is to destroy crystals using powers of your plants. Tons of upgrades, spells and achievements. 15 challenging levels. Have fun! I to open options screen.